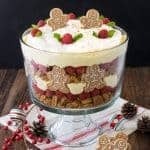 Layers of creamy peanut butter and pudding make this easy no bake White Chocolate Peanut Butter Pudding Pie a must make for dessert this holiday season. 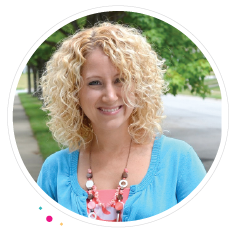 *I am partnering with the American Dairy Association as one of 10 bloggers creating recipes for the Cooking Together to Give Gallons program for those in need. Is it just me, or does this time of year seem better for pies? I mean, I do enjoy a good pie all year long, but for some reason I like it even more in the holiday season. Speaking of holidays, do you decorate for the Christmas season over the long Thanksgiving holiday? We usually spend that Saturday pulling out all the boxes and fluffing the tree branches. After years of a real tree, we finally broke down the other year and bought a nice “fake” tree at Target. It actually kind of looks real from across the room. Plus, once you load it with all the snowmen ornaments and icicles, it’s hard to tell. I just keep a pine scented candle on hand for when people come over to visit. Now all I need is a blanket and a Thin Mint Latte, and I’ll be ready to enjoy the warm cozy atmosphere of Christmas. This winter I am partnering with the American Dairy Association Mideast and their Cooking Together to Give Gallons program. There are so many people across our country who are not as fortunate to have a warm home with a Christmas tree and a fridge full of food and milk. Did you know that milk is one of the most requested items at food banks? Unfortunately, it is rarely donated. This holiday season, ADA is partnering with the Great American Milk Drive to help deliver milk to families that are in need. We all know that dairy is important for building strong bones and keeping us healthy. 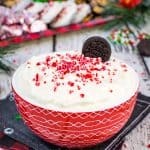 The American Dairy Association will donate 25 cents for every “like”, comment, or share of each of the bloggers’ recipes on their Facebook page starting on Giving Tuesday, December 1st through December 11th, up to $3,000. Please head over and help out by sharing and liking all the recipes shown there. 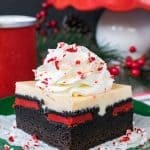 One way to add more dairy to your diet is in holiday baking. Yes, you heard me. You can bake and get a serving of dairy. Pretty sweet, huh? Adding milk to those holiday dishes can add calcium and nutrients. Adding milk to cookies and pie crusts encourages browning as well. 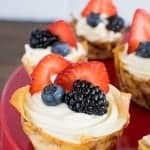 Buttermilk and Greek yogurt are also other ingredients that are full of protein and great to use in baking recipes. I was craving a creamy pie, so I kept it simple and went with a no-bake option. See, milk is good for non-baking recipes too! 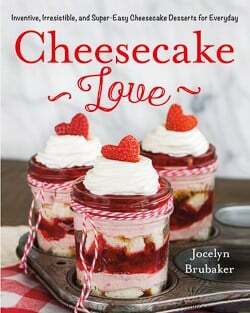 I mixed cream cheese, Greek yogurt, and peanut butter together for a thick creamy layer of cheesecake. Then I topped that with a pudding mixture made with 2% milk. Booyah! There’s a serving of dairy and protein in that creamy pie slice. Perfect health food for your next holiday party. Wink, wink! 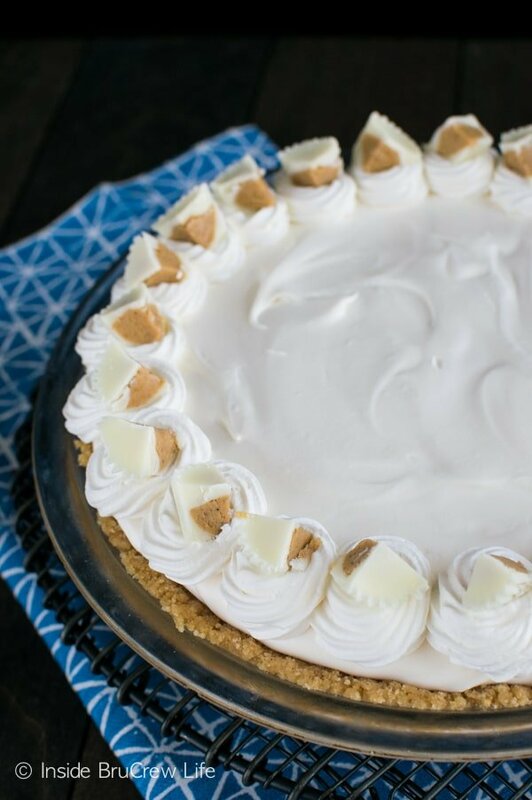 This easy no bake pie has layers of cookie, peanut butter cheesecake, and white chocolate pudding. 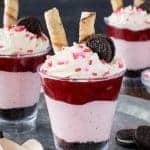 It's a creamy and delicious dessert for any party. Mix together the cookie crumbs and melted butter. Press firmly into a 9 inch pie plate. Refrigerate while you prepare the rest. Beat the cream cheese, yogurt, and powdered sugar until creamy. Add the peanut butter and beat again. Fold in 1/2 cup Cool Whip. Spread on the bottom of the cookie crust. Whisk together the pudding mix and milk. Chill until thick. Fold in 2 cups Cool Whip. Spread on the top of the peanut butter layer. Refrigerate for 1-2 hours. Top with Cool Whip swirls and peanut butter cups. Keep refrigerated until serving. Cut into 12 slices. *I was compensated by ADA Mideast to create a holiday dairy recipe and participate in the #GiveGallons campaign. All opinions expressed are 100% my own. This looks absolutely fantastic!! Oh my gosh, I need it in my life. 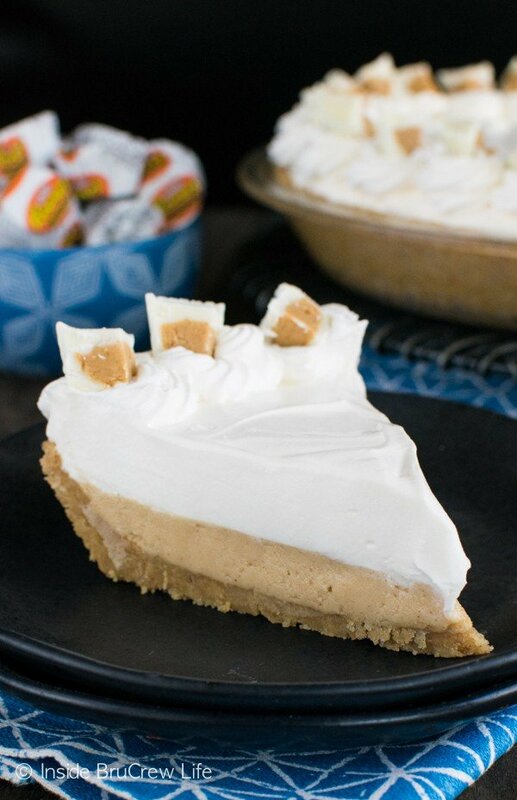 Adding white chocolate to peanut butter pie is about the only way I can think of making it better than the original. This pie is incredible! Peanut butter is my favorite food of all-time, and I love it most with white chocolate than anything else. Absolutely adore this! This looks so creamy and dreamy! Love that it has a whole serving of dairy in each slice! 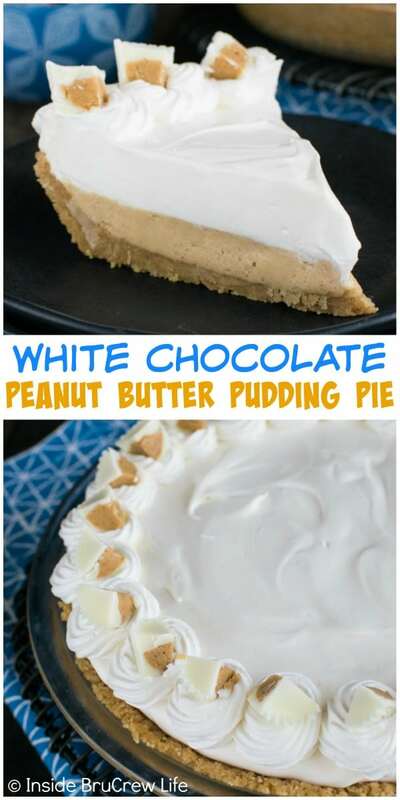 You had me at peanut butter….but then you added “white chocolate” and “pie” and I knew that I needed to have 3 slices of this goodness! Pinned! 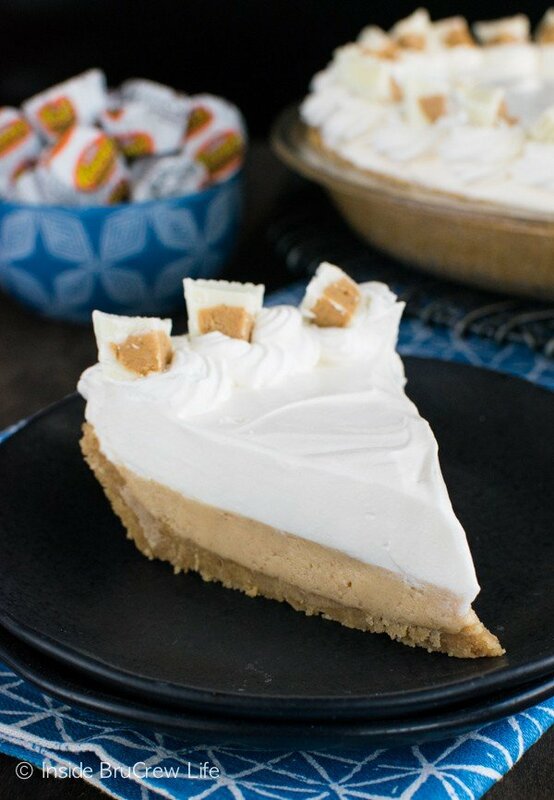 Thanks Jocelyn, love that this is a white chocolate pie….I can eat this and not have to worry about all the caffeine not in it 🙂 now if I could find more white chocolate candy in the stores…..I never see the white chocolate Reese cups where I live…. What a perfect pie for a quick and delicious treat in between all the dark chocolate I am usually cooking. I especially love the reminder to think of those who have less, and help where possible. Really love you, and all you stand for!!! What a stunning pie Jocelyn! And I see my favorite candies on top there so you know I’m ALL in 🙂 Love this! 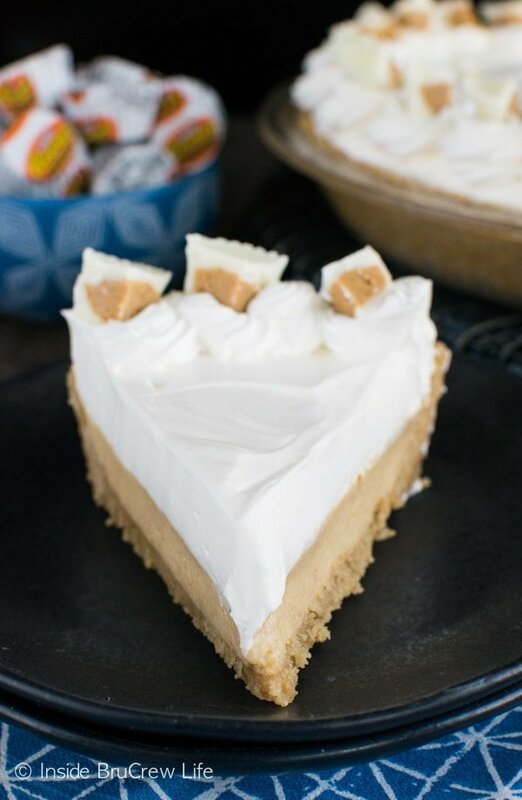 Jocelyn peanut butter pie is my husbands fave! This looks awesome! I read the recipe ingredients three times. I’ve never heard of peanut butter creamed cookie crumbs. Is that a cookie that’s been ground up? Yes, I used a peanut butter cream filled peanut butter cookie. You could use Nutter Butter cookies…I think I used a store brand just like it. 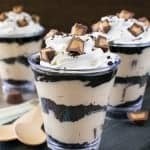 How long does it take to chill the milk/pudding mixture? I’ve had it in the fridge for a couple hours now and it’s not getting much thicker. Thanks! The pudding and milk mixture only needs to chill for about 5 minutes. It will thicken pretty much instantly because you are not using the full amount of milk that the box calls for. How much milk did you use? If you did 1 cup of milk, you are fine to fold the Cool Whip in and spread on the pie. I hope that helps!